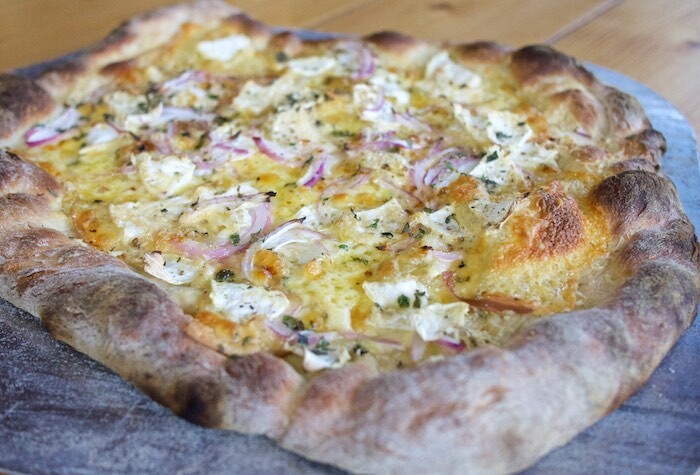 Pizza fans everywhere, this extremely unique pizza is worthy of your time and taste buds. Warning....don't let the idea of a tomato-less pizza turn you away. The combination of smoked cheese and delicate luscious celery root is so amazing you may just abandon tomato sauced pie forever! Place a rack in lower third of oven; preheat to 500°F. Toss celery root and 1 tablespoon oil in a medium bowl; season with salt and pepper. Set aside. Gently stretch dough into a 16x12" oval and transfer to a lightly oiled rimmed baking sheet. (If dough springs back, cover and let rest 10 minutes, then stretch again, resting as needed.) Brush with remaining 1 tablespoon oil and bake until dry and golden, about 5 minutes (this prevents dough from getting soggy once the toppings are added). Remove from oven; top with cheese, celery root, onion, Parmesan, and 1 tablespoon oregano. Bake pizza, rotating baking sheet halfway through, until cheese is melted, celery root is tender, and crust is golden brown, 12–15 minutes. Top with capers and more oregano; season with sea salt and black pepper.